A number of people have said to me recently that they don’t need to go to church to be a Christian. It's true, that you don’t need to be a Christian and go to church, but it does make it flipping hard. What people often mean, when they say they don’t need to go to church, is that they don’t want to go to church. Church is in essence costly. It’s costly in time, emotional energy and costly in how you give yourself to it. Let's look at three aspects of why church is important…. Jesus calls us to not GO to church but BE church. I find that my nature is to be self-centred. When I got married I realised how much my life focused upon me, then we had kids and I realised even more how much it focused upon me. Church saves us from ourselves. Being married is hard, it challenges us, we realise how self-centred we are, how broken we are and how shallow we really are. The same is true with the church. It’s hard because we realise how egotistical, prideful and self-centred we really are. It’s in the community of broken people that we realise that it's not all about us, but about others, and we have an opportunity to focus less on ourselves and more on loving others. When we say we don’t need to go to church we are telling Jesus that He was wrong, that He didn’t need to start any ‘church’ because we can do it alone. Jesus told Peter to start the church because He knew we needed it. We needed it to live a life more than ourselves. Charles Spurgeon said church was like a stack of burning coals. When we remove a hot coal from the fire it grows darker and darker until soon it’s cold enough to touch. When we are removed from the fire we too grow cold. When we aren’t around the warmth of the people of God we grow cold as we lose their encouragements, challenges and direction. 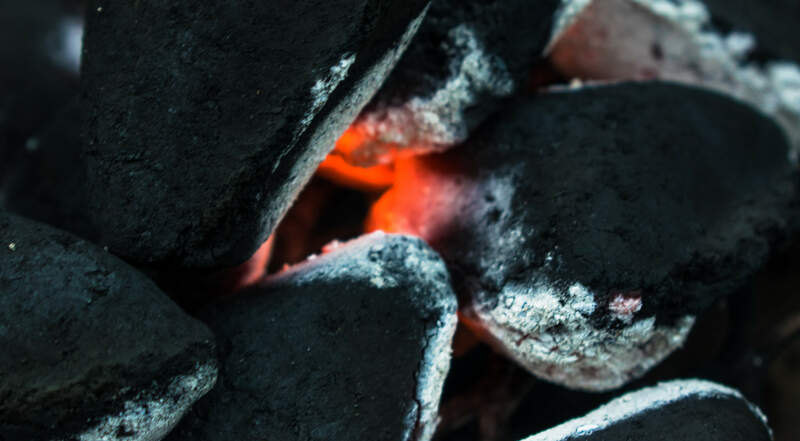 Coal is hard, dusty, cold and rather un-beautiful but when its put with other coals that are on fire it becomes consumed in the heat and becomes a beautiful red and orange burning heat as it was designed to be. It’s in this new church body that we become the hands, feet, heart and mouth of Jesus. On our own we are a one-person army, weighed down by the pressure and lack of knowhow and training. But together the church becomes a people of power, a people inspired and a people standing together, shoulder to shoulder. Where one knows a little, someone else knows more and vice versa. So can we be Christians and not go to church? The reality is we can do a lot and not go to church but it's not beneficial for us. We will inevitably grow cold. The real question is do you want to be the best human you can be? Do you want to be the person Jesus called you and designed you to be? BUT I’VE BEEN HURT BY CHURCH – Join the club. BUT I DO CHURCH ONLINE – That’s not real church, that’s consumer church. BUT I DON’T LIKE THE PEOPLE – That’s why we need to learn to love like Jesus loved. BUT I DON’T FIT – When God's people left Egypt they were described as a ‘Motley Crew’, church is a community where nobody really fits in, whilst being at the same time, a beautiful community found in no other place on earth. This beautiful harmony of young and old, rich and poor, those who have it all together, and those who lost it all a long time ago, standing together; working to fuel each other in the fire of the Holy Spirit. My belief is that when two or three are gathered, Jesus is present. He is present to us and we are present to him and from this place the church can really be people empowered for this amazing adventure. Anything else and we are just missing out. Cris is married to Beki and together they lead All Hallows Bow in East London.